With the tile set, all there's left to do is grout, caulk, and seal! Let us help you finish your flooring makeover to perfection. 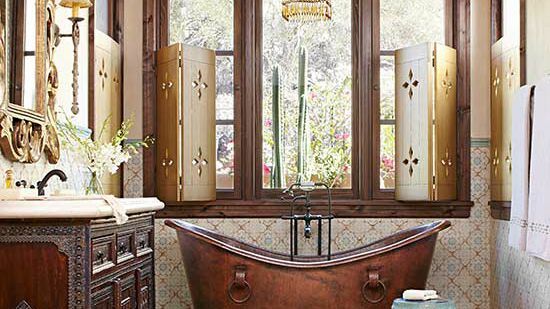 Grouting, caulking, and sealing are not difficult tasks, but they do take time. 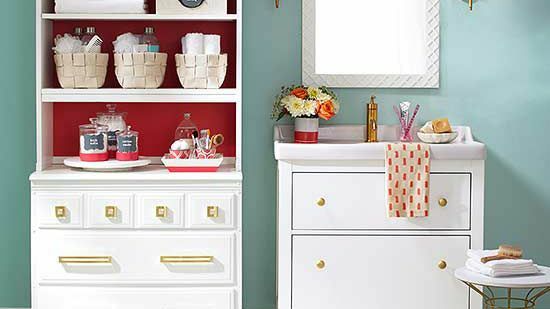 Don't rush these activities — they affect both the final appearance of your tiling project and its longevity. 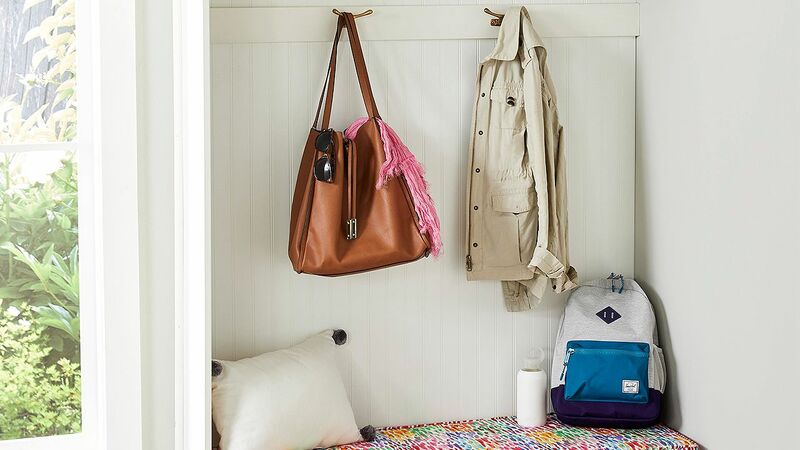 Bring all materials into the room to acclimate them to its temperature, preferably between 65 and 75 degrees Fahrenheit. 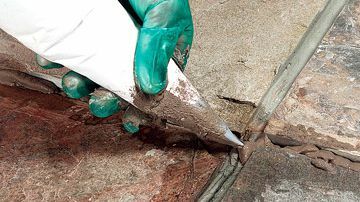 Prepare the surface by removing spacers and cleaning excess mortar from the joints and surface. Lightly mist the edges of nonvitreous tile with water so they won't take too much moisture from the grout. 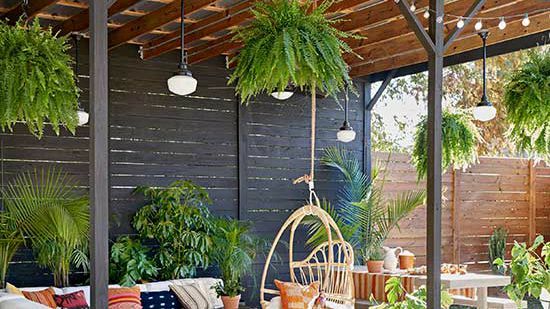 Vitreous tiles do not require misting. Use a margin trowel to mix grout in clean containers, following the manufacturer's instructions, adding powder to liquid a little at a time. Let it set for 10 minutes and restir it to loosen its texture. Grout should be wet enough to spread, but not runny. Remove spacers if you have not done so already. 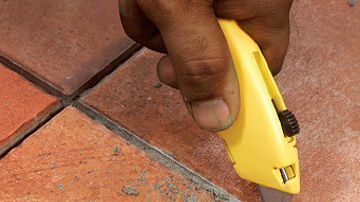 Inspect the joints for any remaining mortar and scrape it out with a utility knife or grout knife. 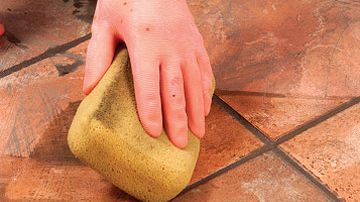 Remove any remaining hardened mortar from the tile surface with a nylon (not metal) scrubber. 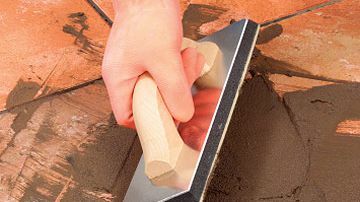 Mix the grout to the consistency recommended by the manufacturer; dump or scoop out a small pile with a margin trowel. 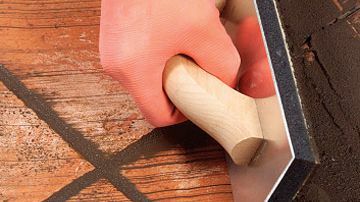 Working in 10-square-foot sections, pack the grout into the joints with a grout float. Hold the float at about a 30- to 45-degree angle; work it in both directions. What If... The Grout Joints Are Wide? Irregular tiles look best with wide grout joints, but wide joints may be hard to fill with a grout float. 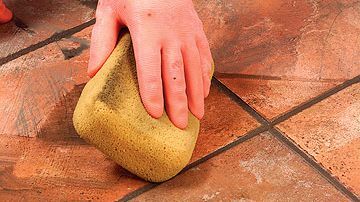 Use a grout bag for these tiles and for rough tiles whose surfaces will be difficult to clean. Fit a metal spout equal to the width of the joint on the bag. Fill the bag with grout. Working down the length of a joint, squeeze the bag, overfilling the joint slightly. Compact the excess and sweep loose grout with a stiff broom when dry. Once you have grouted a section, hold the float almost perpendicular to the tile and scrape the excess off the tile surface. Work the float diagonally to the joints to avoid lifting the grout. If you remove grout, replace it in the joint and rescrape the surface. Let the grout set. 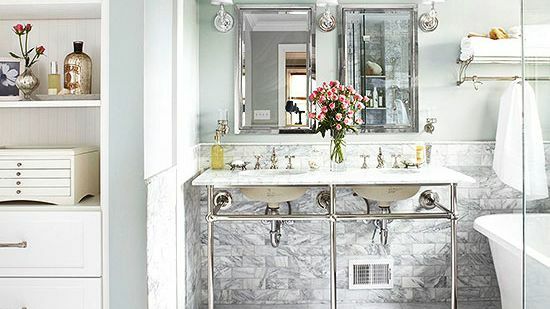 When a just-damp sponge won't lift grout from the joint, you can start cleaning. Wring out excess water from a damp sponge and rub the surface in a circular motion. Rinse and wring out the sponge often. Repeat parallel to the joints to make them neat and once more to finish cleaning. 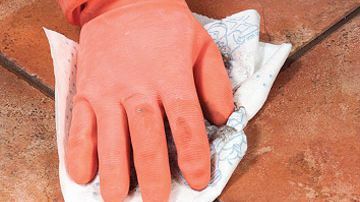 Let the surface dry about 15 minutes, then remove the grout haze from the surface with a dry clean rag. 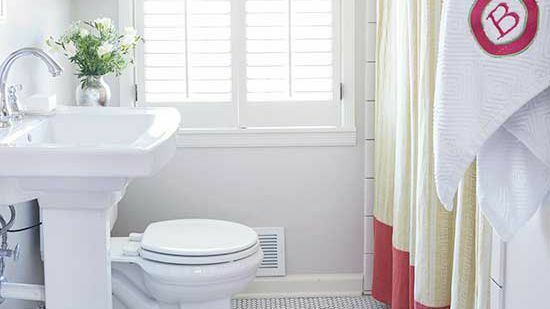 Avoid terry cloth material; it can lift out uncured grout. 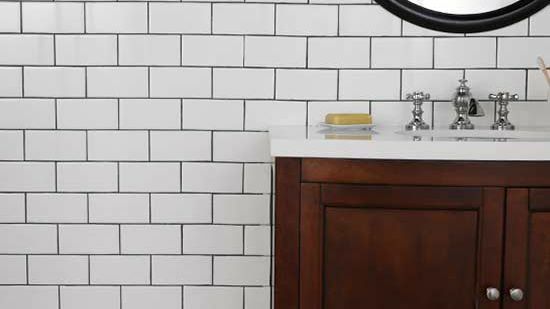 Tile with a matte finish may require another cleaning with fresh water and a clean sponge. Power mixing can introduce air bubbles in grout and leave voids in it. 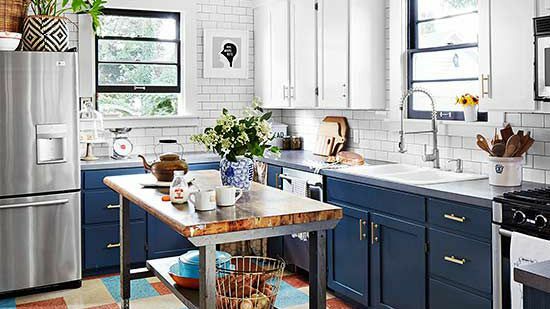 Mix grout by hand with a margin trowel, adding the powder to the water. Let the mix set for 10 minutes, then remix before applying. Use a utility knife to cut the nozzle to the width of the joint and at a 45-degree angle. Cut through the nozzle in one pass. 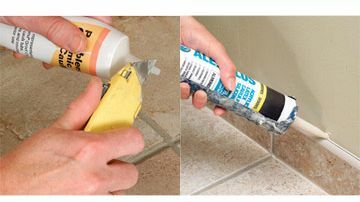 Before you apply the caulk, you may want to practice the technique on scraps. 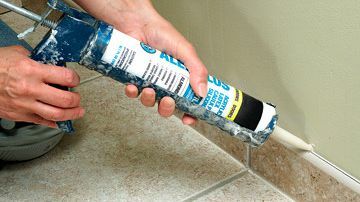 Starting in one corner, squeeze the handle of the caulk gun gently and apply the caulk to the joint. Keep the caulk gun moving as you squeeze so the caulk won't overrun the joint. Finish the surface of the caulk with a wet finger or sponge. Light pressure will avoid gouging. Although latex or polymer-modified grouts resist staining, you'll get the best protection from stains by sealing the grout. 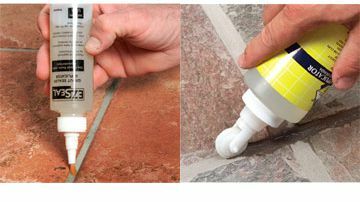 On glazed and other impervious tiles, apply the sealer only to the joint using an applicator designed for this purpose. To protect saltillo and other soft-bodied tiles, seal the entire surface with a mop or applicator as recommended by the manufacturer. 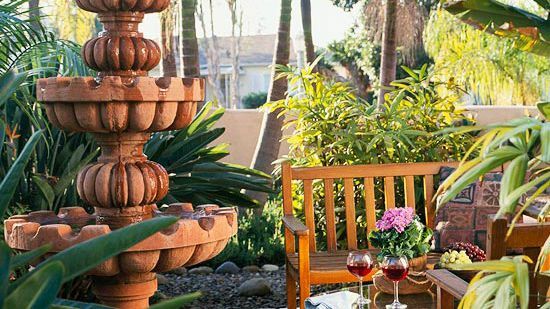 Different sealers can leave stone in its natural color or enhance its richness. Out-of-level floors force you to adjust the base tiles to make their top edges level. You'll make up the difference in the joint at the floor. Lay the bullnose tile against the wall with spacers. 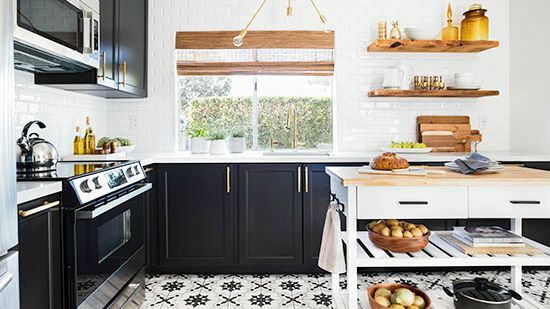 Adjust the tile heights with plastic wedges until the top edges of all tiles are level. Make sure the joint at the floor is as even as possible from one end to the other. 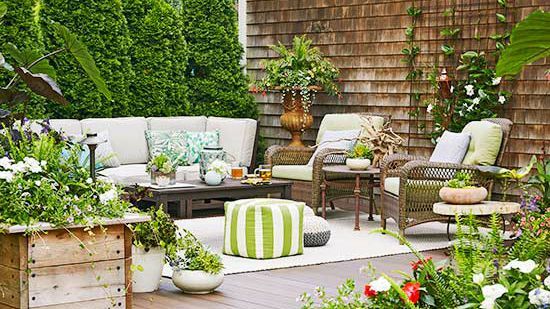 Continue the layout on adjacent walls. Mark the wall at the top edge of the final layout. Remove the tiles and snap a level chalkline at the mark you made. Mark all the walls with chalklines in a similar fashion. 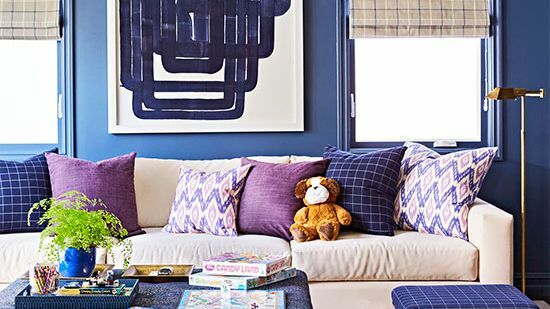 Mix up enough thinset to cover the area in which you'll be working. Backbutter each tile and set in place. Press the tile in place, inserting spacers. Use the plastic wedges to keep the top edge in line. About every 3 feet use a 4-foot level to make sure the top edge is level. Adjust the tile if necessary by gently pushing or pulling on the wedges as needed. 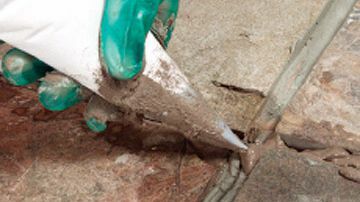 Gently remove excess mortar from the joints with a utility knife. Clean the surface. Set and clean corner tiles. Let the mortar cure overnight before grouting. As a final step grout the trim tiles and caulk the joints at the floor and top edge. Force grout into the vertical joints with a grout float. 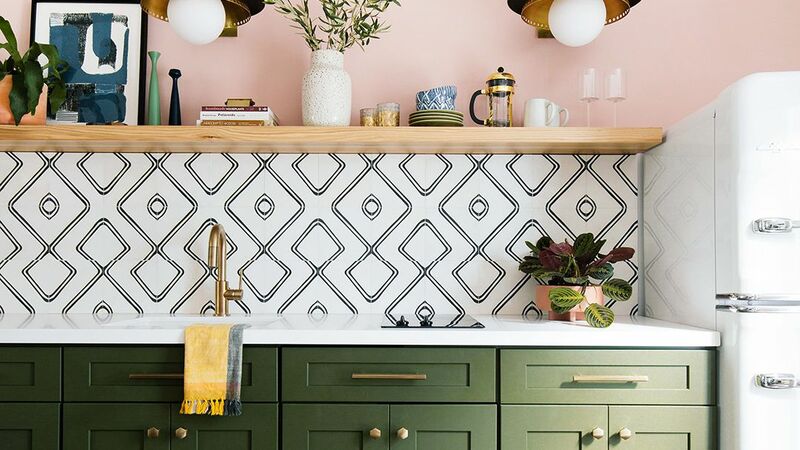 When the grout has partially cured, remove the excess from the joint at the floor with a utility knife and from the surface with a damp sponge. Sponge-clean the surface at least twice. Wipe off the haze with a clean rag. 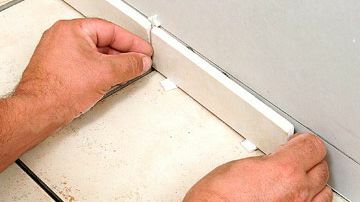 Caulk the joint at the floor and along the top edge of the trim. Smooth the caulk with a wet finger or sponge. 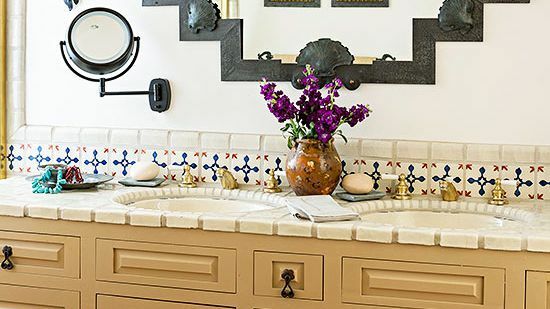 What If...Bullnose is not available for your Tile? Double-bullnose tile has two rounded edges — one on top and another on the side. 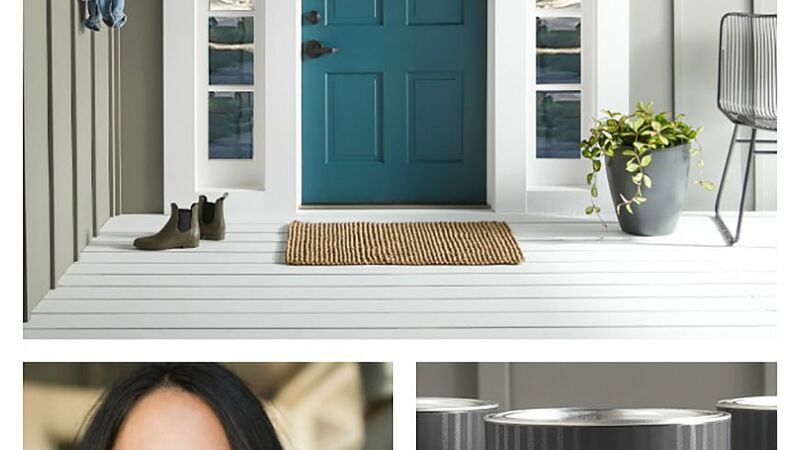 It is made especially to provide a smooth way to finish outside corners. The vertical rounded edge covers the square edge of the adjoining tile. 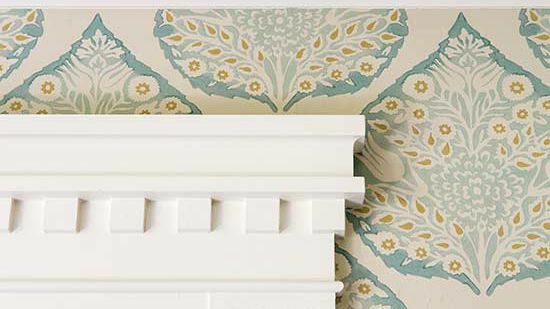 If bullnose trim is not available in the style you need, cut trim tile from the same stock you laid on the floor. 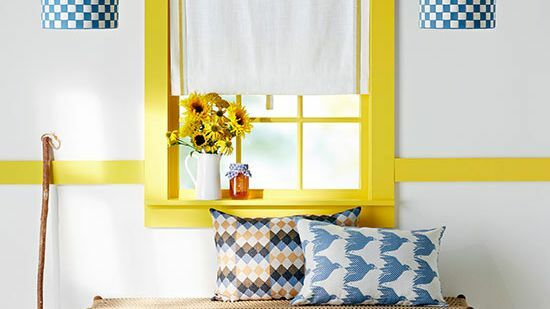 Determine the height of the edging you want and cut enough tiles to run the entire length of the wall. Cut each piece of the tile only once. Even if you can get more than one piece from a large floor tile, you'll want a factory edge on top. Install the cut tile and, if the factory edge is not finished to your liking, grout the top edge. A reducer strip eases the transition from a thicker to thinner floor, from wood to ceramic tile for example. 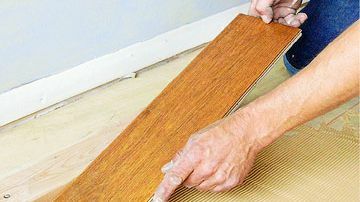 A universal threshold is used when wood flooring butts up against a carpeted floor. 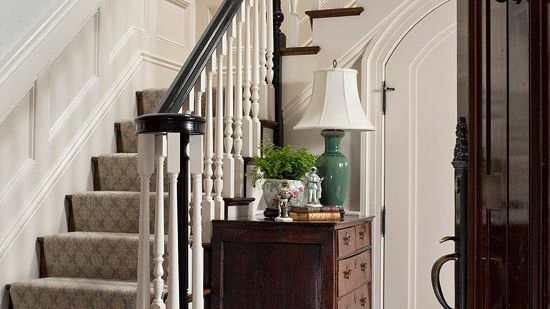 Carpet edging is an inexpensive transition between carpet and another floor material. 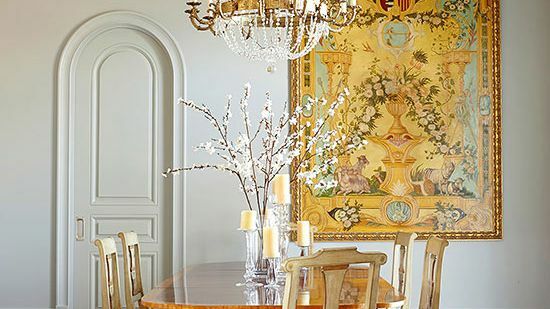 T-molding is used as a transition between floors of the same height.